Nick Heidfeld will present the electric hypercar during the Members' Meeting. What could be better than one of the world's fastest cars coupled with one of the world's fastest drivers? If you answered "nothing,” you may want to swing by Goodwood the weekend after next for the 77th annual Members' Meeting. That's where Automobili Pininfarina will be showcasing the new Battista in the UK for the first time. And on hand will be none other than Nick Heidfeld. That's right, that Nick Heidfeld – the German racing driver who set the hillclimb record at Goodwood some 20 years ago, and has held onto it ever since. In case you missed it, the Pininfarina Battista debuted at the 2019 Geneva Motor Show just weeks ago. It's not the first vehicle Pininfarina has designed – far from it – but it is the first it's selling under its own name, followed (like the Ferrari Enzo's) by its founder's. 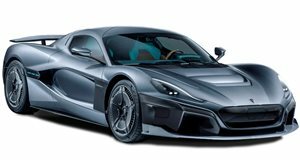 Developed with help from Rimac, the electric hypercar packs a mind-blowing 1,877 horsepower and 1,696 lb-ft of torque – enough, we're told, to send it rocketing to 62 in two seconds flat, to 186 mph in 12 seconds, and on to a top speed in excess of 217 mph. We're looking forward to seeing how it measures up to the hype, because there's been a lot of that. But that doesn't look like it'll actually happen at the Goodwood Members' Meeting. All indications are that the white Battista (one of three displayed at Geneva) will be on static display in the paddock, not running around the circuit or up the hill. That's a bit of a shame considering the driver who'll be on hand. While success largely eluded Heidfeld in a dozen seasons of Formula One, he's a bit of a legend at Goodwood. 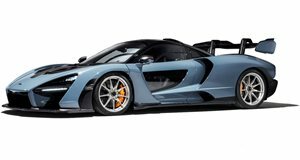 In 1999 Nick drove a McLaren MP4/13 grand-prix racer up the famous hillclimb route in a record 41.6 seconds, which has still yet to be beat – not by Sebastien Loeb in the Peugeot 208 T16, Romain Dumas in the Volkswagen ID R, or by anyone else in any other equipment. These days Heidfeld competes in Formula E for Mahindra – the same company that owns Pininfarina and bankrolled the Battista's development, with which Heidfeld helped as chief test driver. As in F1, he's scored a few podiums in Formula E, but no wins to date. He did win the Formula 3000 title the same year in which he set the Goodwood Festival of Speed record, and took a class win at Le Mans a few years ago. But it'll be the hillclimb run for which his long-running career will be best remembered.